Aren’t sharks bad enough? Now we have to worry about rattlesnakes? 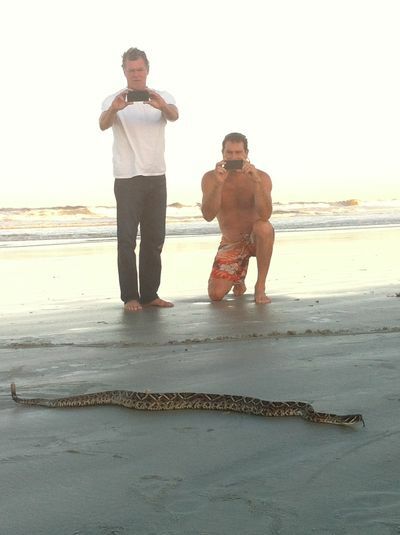 Check out this report on WFTV – how surreal it must have been to look over and see this huge snake surfing back to the shore. Our seven year vacation in New Smyrna Beach is coming to an end as we prepare to move back to Orlando (more later)…hope this guy doesn’t hitch a ride with us! 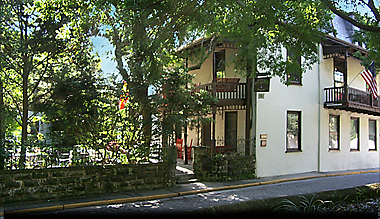 Looking forward to a media trip, in a few weeks, to the St. Francis Inn, exploring gardens, food and fun in old St. Augustine. It will be a pleasant break from packing and hope to have lots of stories and photos. This entry was posted in Uncategorized and tagged dunes, jetties, New Smyrna Beach, rattlesnake, sharks, snake, St. Augustine, St. Francis Inn, surf, wftv. Bookmark the permalink.